A new study has found that the gap in wealth between white and black Americans increased by more than four times between 1984 and 2007. 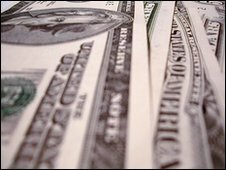 The study released by the Institute on Assets and Social Policy (IASP) found that African-Americans who earn substantial incomes have been unable to increase their net worth. In 23 years, the gap rose by $75,000 (£52,000), from $20,000 to $95,000. The study suggested these figures reflected public policy in the US. IASP found that public policies in the US benefited the wealthiest people, through tax cuts on investment income and inheritances, and disadvantaged others through discrimination in housing, credit and labour markets. "There continues to be a persistence of racial segregation," said Thomas Shapiro, IASP director and co-author of the paper. Mr Shapiro said that racial segregation operated by limiting the value of property in a community that is primarily African American, in comparison to a community that is predominantly white. There was also a dramatic growth in financial assets among white families from a median value of $22,000 to $100,000, while African-Americans saw very little increase in financial assets and had a median wealth of $5,000 in 2007. The study stated the most notable gap was found between high-income whites and blacks. By 2007, the average middle-income white household accumulated $74,000, while average high-income African-Americans earned only $18,000. IASP said its study suggested job achievements were not adequate predictors of wealth holdings due to disparities between the wealth held by whites and blacks in the same income categories. Income equality for African-Americans does not necessarily lead to racial wealth equality. "I was shocked by how large the number was," Mr Shapiro said. "I've been in this research business, and looking at similar kinds of issues, for a long period of time, but even in my cynical and jaded moments I didn't expect that outcome over one generation." IASP's study concluded with a suggestion that public policy could now be used to close the gap it has created and sustained.